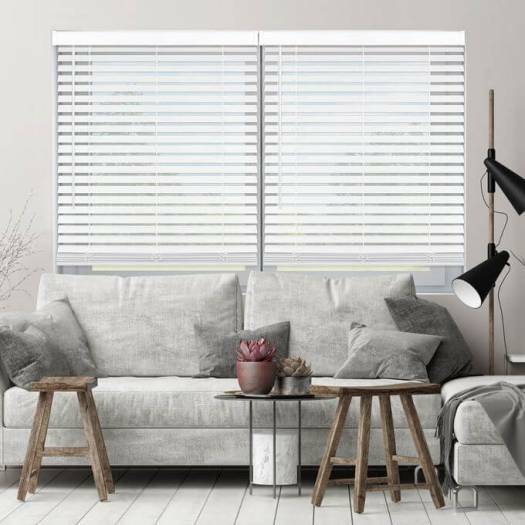 Love the classic look of real wood but are looking for budget-friendly window blinds? 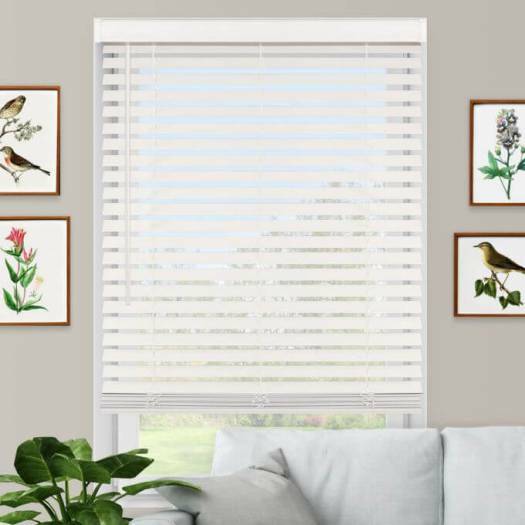 Enrich any room with the 2" Super Value Cordless Faux Wood Blinds at a fraction of the cost of real wood, without sacrificing design. 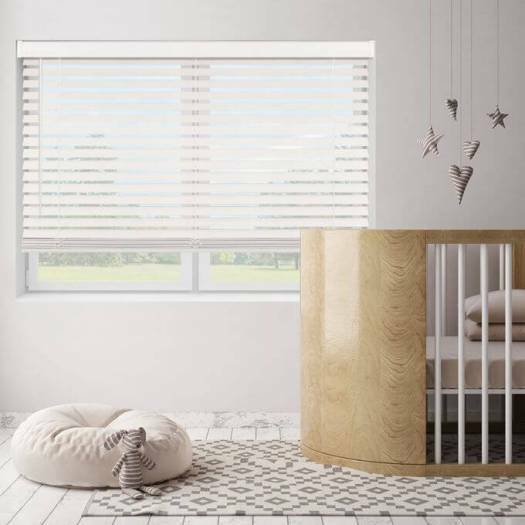 These stylish window coverings feature 2-inch-wide slats that let in a lot of natural light when opened. 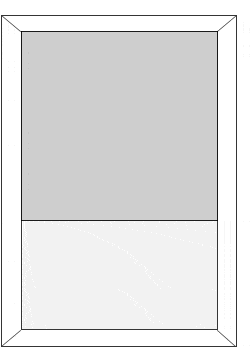  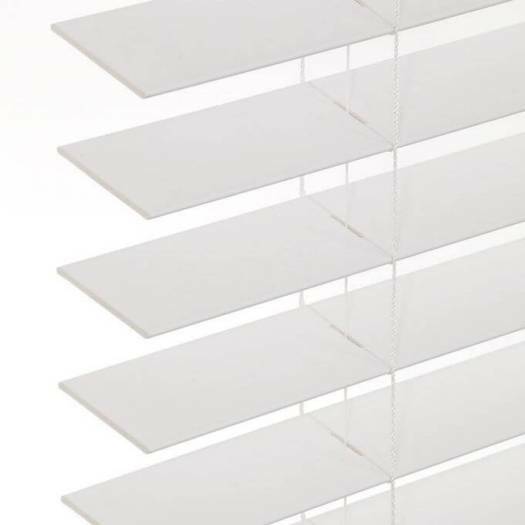 They come in white & off white and make the perfect neutral backdrop for any space. 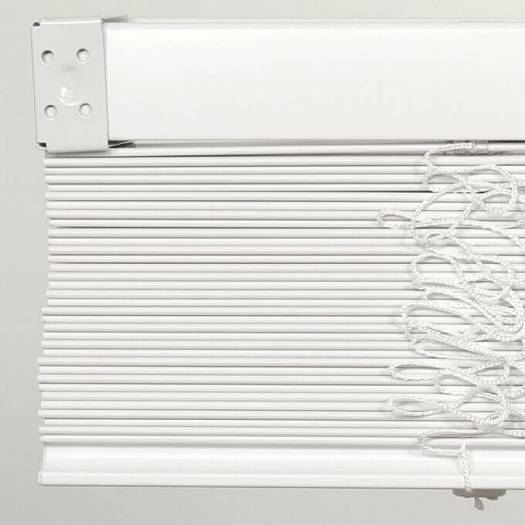 The 2-1/2” valance frames your window with a finished and seamless appearance. 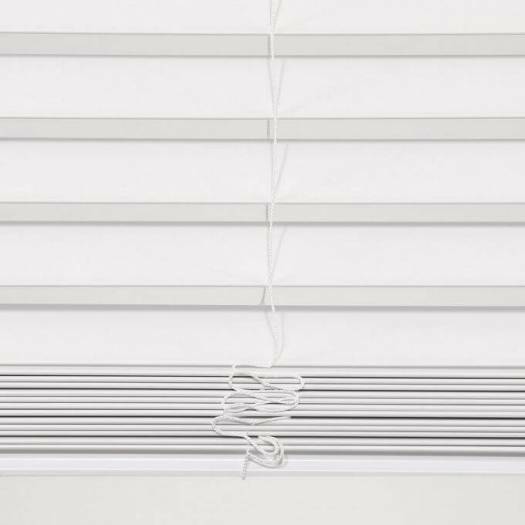 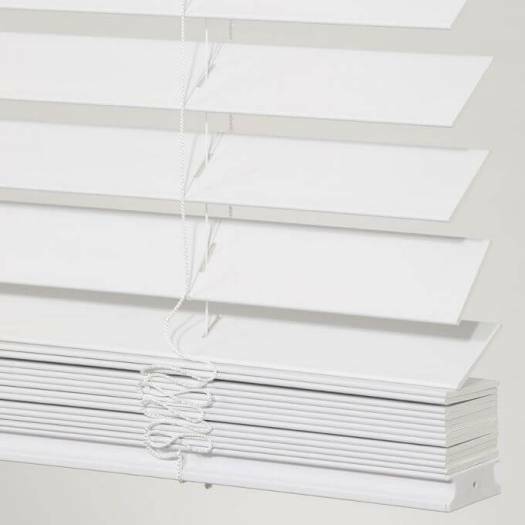 Made from durable, lightweight PVC, these faux wood blinds are easy to clean and super simple to install. 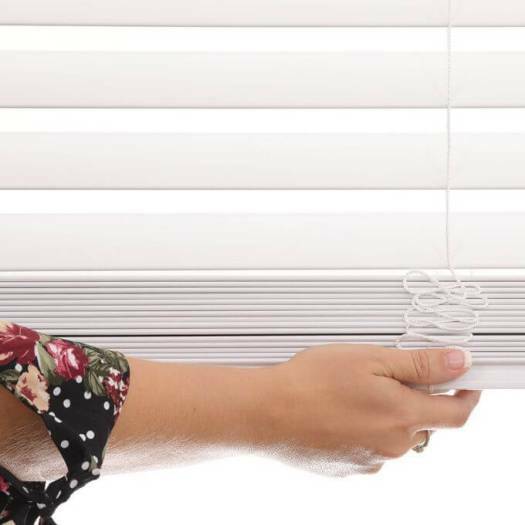 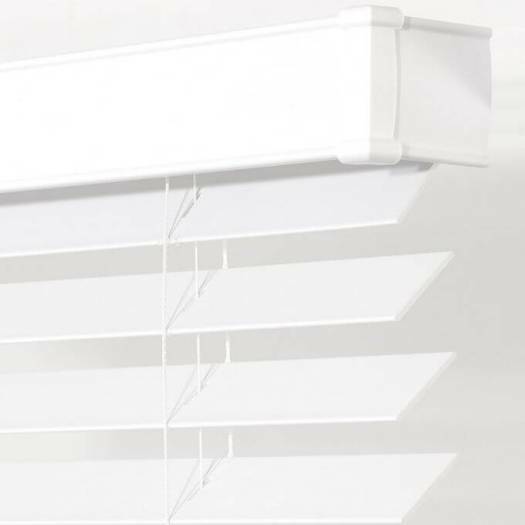 Best of all, these cordless window treatments are the safest choice for homes with children and pets. 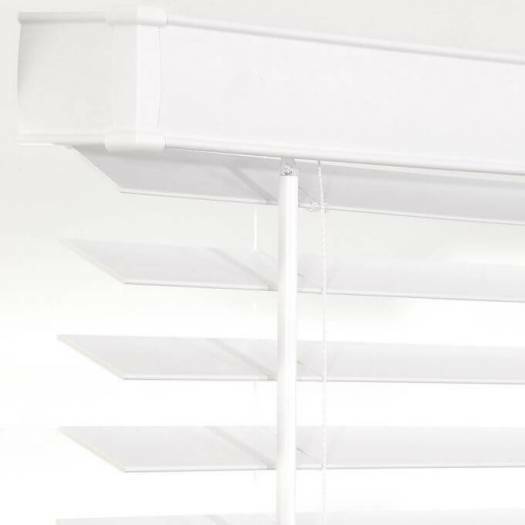 Effortlessly open and close the slats with the attached wand tilt. 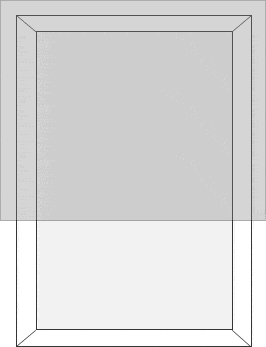 Standard wand length of 21"